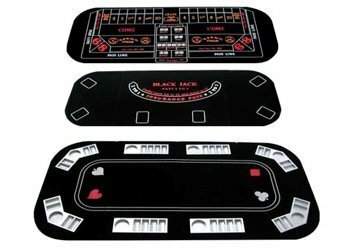 Looking for a table top for all types of casino games? This versatile Texas hold’em table top is a great choice! Made of a high quality EVA material, this lightweight table top can be easily transported and comes with a carrying bag (included). 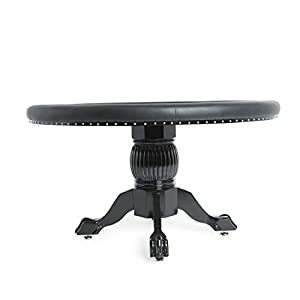 ;What makes this table top stand out is the additional “covers” that are included with this table top. 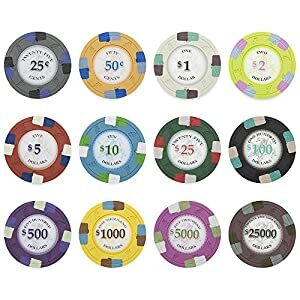 The standard table top is great for any type of poker game. Feel like playing blackjack or craps? 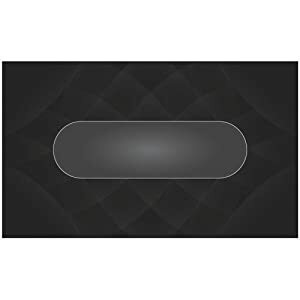 Lay out the appropriate insert onto the table top! These inserts will stay tightly on and won’t shift. 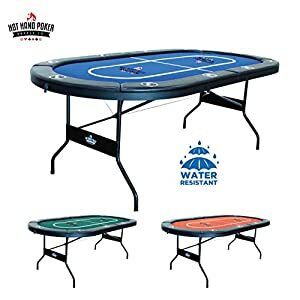 ; Opened Size: 63″x31.5″x0.78″; Closed Size: 15.8″x31.5″x3.15″; Poker, Blackjack and Craps; Built-in Chip and Beverage Holders; High quality casino style felt; 8 player position table top; Bonus carrying bag.